The co-founder of the Byrds and Crosby, Stills & Nash, singer David Crosby has been inducted into the Rock Hall twice. He's recently became rather active too. Back in 2014, he released his first solo album in two decades. Last year, he followed it up with Lighthouse. 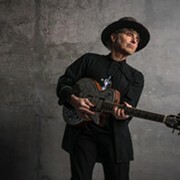 And next month, he’ll release Sky Trails, an album that features a new collection of original songs that includes collaborations with Michael McDonald, Becca Stevens and James Raymond. 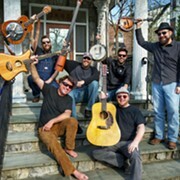 Crosby’s tour in support of the album comes to the Kent Stage on November 5. “Crosby’s former band mates Graham Nash and Stephen Stills have performed at The Kent Stage, and we’re thrilled we can complete the trio with this special event,” says Kent Stage operator Tom Simpson in a press release announcing the show. 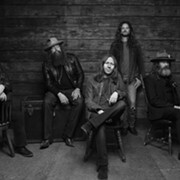 Tickets go on sale at 1 p.m. on Friday, Aug. 11, at thekentstage.com. Tickets also available by phone at 877-987-6487.